All this data collection raises understandable privacy concerns. Most cities have policies designed to safeguard citizen privacy and prevent the release of information that might identify any one individual. In theory, anyway. In reality, even when publicly available data is stripped of personally identifiable information, tech-savvy users can combine it with other data sets to figure out an awful lot of information about any individual. Widespread use of sensors and video can also present privacy risks unless precautions are taken. The technology “is forcing cities to confront questions of privacy that they haven’t had to confront before,” says Ben Green, a fellow at Harvard’s Berkman Klein Center for Internet and Society and lead author of a recent report on open-data privacy. 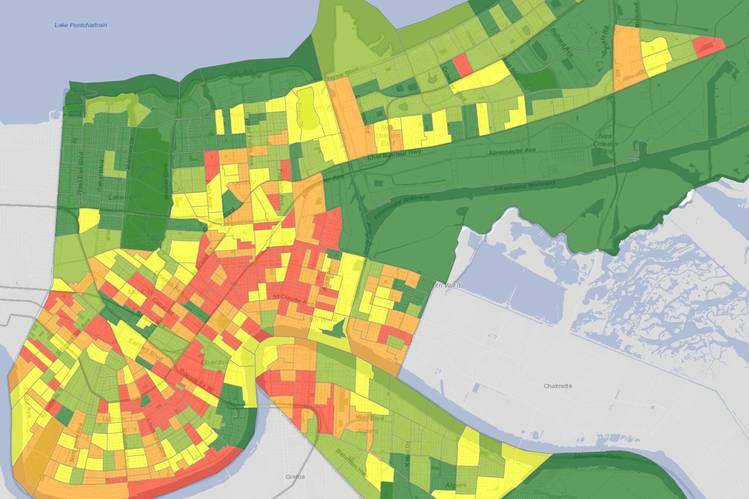 Perhaps the most innovative way cities are employing data is to anticipate problems. Consider the risk of death by fire. Although declining nationally, there still were 2,685 civilian deaths in building fires in 2015, the latest year for which data is available. The presence of smoke alarms is critical in preventing these deaths; the National Fire Protection Association, a nonprofit standards group, says a working fire alarm cuts the risk of dying in a home fire in half. New Orleans, like most cities, has a program run by its Fire Department to distribute smoke detectors. But until recently, the program relied on residents to request an alarm. After a fire in which five people—three children, their mother and grandmother—perished, the department started looking for a way to make sure that they were getting alarms into homes where they could make a difference. Oliver Wise, director of the city’s Office of Performance and Accountability, had his data team tap two Census Bureau surveys to identify city blocks most likely to contain homes without smoke detectors and at the greatest risk for fire fatalities—those with young children or the elderly. They then used other data to zero in on neighborhoods with a history of house fires. Using advanced machine-learning techniques, Mr. Wise’s office produced a map that showed those blocks where fire deaths were most likely to occur and where the Fire Department could target its smoke-detector distribution. Since the data program began in early 2015, the department has installed about 18,000 smoke detectors, says Tim McConnell, chief of the New Orleans Fire Department. That compares with no more than 800 detectors a year under the older program. It is too early to tell how effective it has been at preventing fire deaths, Chief McConnell says, since they are so rare. But the program did have an early, notable success. A few months after the program began, firefighters responded to a call in Central New Orleans. Arriving, the fire crew found three families—11 people in all—huddled on the lawn. The residents had been alerted by smoke detectors recently installed under the outreach program. 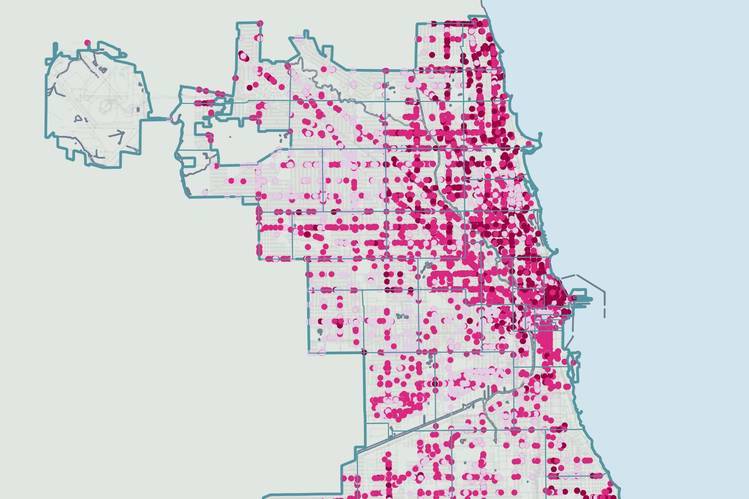 Predictive analytics have also been used to improve restaurant health inspections in Chicago. The Department of Public Health relies on about three dozen inspectors to check for possible violations at more than 15,000 food establishments across the city. It needed a better way to prioritize inspections to make sure that places with potential critical violations—those that carry the greatest risk for the spread of food-borne illness—were examined before someone actually became sick. The data team in the city’s Department of Innovation and Technology developed an algorithm that looked at 11 variables, including whether the restaurant had previous violations, how long it has been in business (the longer, the better), the weather (violations are more likely when it’s hot), even stats about nearby burglaries (which tells something about the neighborhood, though analysts aren’t sure what). With the tool, the health department could identify establishments that were most likely to have problems and move them up the list for inspection. After the algorithm went into use in 2015, a follow-up analysis found that inspectors were visiting restaurants with possible critical violations seven days sooner than before. Since then, its use has resulted in a 15% rise in the number of critical violations found, though the number of illness complaints—an imperfect measure of violations—has been flat. Just as individuals are flocking to Fitbits and other wearables to monitor their health, cities, too, are turning to sensors to track their own vital signs. Through this Internet of Things, sensor-equipped water pipes can identify leaks, electric meters can track power use, and parking meters can automatically flag violations. As part of a smart-city initiative, Kansas City, Mo., has installed computer-equipped sensors on streetlights along a 2.2-mile light-rail line that opened in March of last year. The city uses video from the sensors to gather information about traffic and available street parking along the corridor. 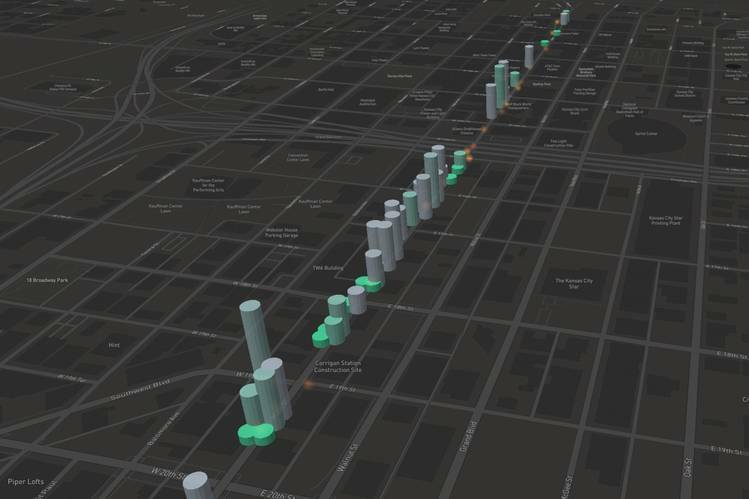 The data is then made available on a public website that shows the location of streetcars, areas where traffic is moving slowly, and locations with open parking spots. It also provides an hourly traffic count in the corridor for the past day. The sensors can even count foot traffic, which could assist entrepreneurs looking to open a new coffee shop or retail outlet, and help city officials estimate the size of crowds, which is useful in responding to public disturbances or in assigning cleanup crews after events like the city’s 2015 World Series parade. Their ability to detect motion also can be used to adjust the LED streetlights so that they dim if no one is around and automatically brighten if cars or pedestrians pass by. The goal is to use data to “improve our efficiency of service and ascertain what services we ought to be providing,” says Bob Bennett, Kansas City’s chief innovation officer. Cities are also putting sensors in the hands of citizens. 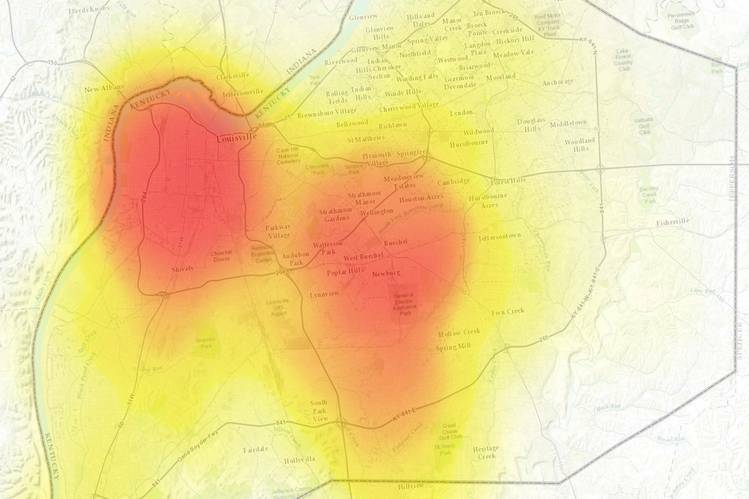 In Louisville, Ky., a coalition of public, private and philanthropic organizations has provided more than 1,000 sensor-equipped inhalers to asthma sufferers to map where in the city poor air quality is triggering breathing problems. The tiny sensors, from Propeller Health, a Madison, Wis., medical-device company, have built-in GPS that collects time and location data with each puff of the inhaler. The city is still completing its analysis of the data, but early findings were impressive, says Grace Simrall, Louisville’s chief of civic innovation. For one thing, patients in the program saw measurable improvement, in part by giving them a better understanding of their disease, and their physicians more information to devise treatment plans. And as expected, the data made it possible to show clusters of inhaler use and link it with air pollution. In one case, sensor data spotlighted a congested road on the east side of town where inhaler use was three times as high as in other parts of the city. In response, the city planted a belt of trees separating the road from a nearby residential neighborhood; the plantings have resulted in a 60% reduction in particulate matter (which can aggravate breathing problems) behind the green belt. Using the public as data collectors isn’t new—it’s the idea behind 911 and 311 systems. But smartphone apps, in the hands of residents and city workers, give cities new and more powerful ways to expand their data-collection efforts. In Mobile, Ala., building-code inspectors armed with smartphones and Facebook Inc.’s Instagram photo-sharing app were able to inventory the city’s 1,200 blighted properties in just eight days—a task that enforcement officers had previously considered impossible with the older paper-based systems of tracking blight. With Instagram, inspectors could snap a photo of a property and have it appear on a map, showing officials where dilapidated, abandoned or other problem properties are clustered. The inventory was just the first step. Mobile’s two-year-old Innovation Team, funded with a grant from Bloomberg Philanthropies, cross-referenced the data with other available property information—tax records, landmark status, out-of-state ownership—to compile a “blight index,” a master profile of every problem property in the city. This made it possible to identify which property owners might need assistance in rehabbing their properties and which ones to cite for code violations. The city is wrapping up a second survey of blighted properties to measure the net change over the past year, says Jeff Carter, Innovation Team’s executive director. “Instagram was phase one, and we would never have made it to phase two without it,” Mr. Carter says. 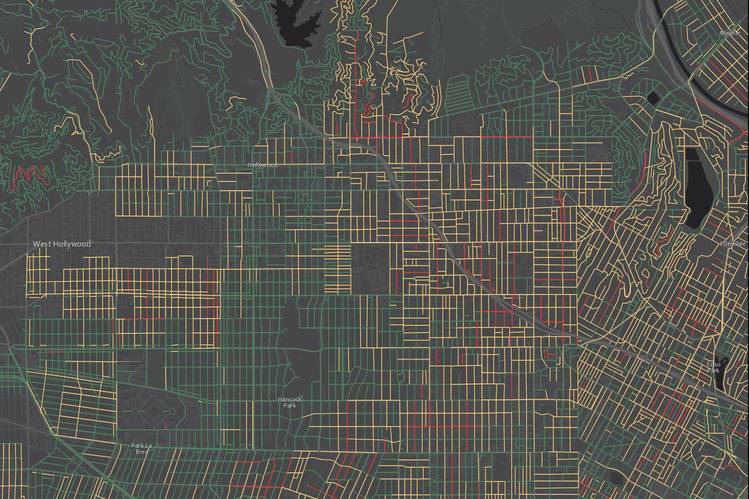 Mobile data collection is also helping Los Angeles to clean up city streets. Teams from the city sanitation department use video and smartphones to document illegal dumping, abandoned bulky items and other trash problems. The teams can use an app to report problems needing immediate attention, but what was really noteworthy—especially for a city the size of L.A.—was that they were able to view and grade all 22,000 miles of the city’s streets and alleyways. The result has been to give officials and the public a better picture of garbage-plagued areas that can be targeted under Mayor Eric Garcetti’s Clean Streets program. Data collected by the mobile teams is compiled in a detailed map of the city, with each street segment rated as being clean, somewhat clean and not clean. The city publishes the map online so that anyone can get a color-coded view of how streets rank for cleanliness. The program, which recently finished its first full year, has resulted in an 80% reduction in the number of areas scored “not clean,” says Lilian Coral, Los Angeles’s chief data officer. The new data-driven approach not only has made it possible to better identify problem areas, Ms. Coral says, but it also has helped to reduce disparities in the city’s cleanup efforts, which previously depended mainly on complaints to identify locations needing attention. In Boston, meanwhile, the city has joined with Waze, a navigation app from Google that enables drivers to share traffic and road conditions in real time. The Boston traffic-management center uses Waze data to supplement live feeds from its network of traffic cameras and sensors, getting a more detailed picture of what’s happening on city streets. Messages from Waze users can alert the center to traffic problems—a double-parked truck or a fender-bender—as soon as they develop, allowing officials to respond more quickly. Waze data also has helped the city to run low-cost experiments on possible traffic changes. For instance, to test how to best enforce “don’t block the box” at congested intersections, the center took more than 20 problem intersections and assigned each one either a changing message sign, a police officer or no intervention at all. Using Waze data, analysts would then see which enforcement approach was most effective at reducing congestion. As it turns out, Waze’s traffic-jam data didn’t show that either approach made much difference in reducing congestion (which may reinforce the view of those who believe little can be done to eliminate traffic headaches). The partnership, one of 250 that Waze has signed with cities around the world, also enables the city to feed street-closure and similar information into the Waze app, making it easier for drivers to reroute trips before they get stuck in traffic.